Are bacon and eggs a healthy breakfast option? 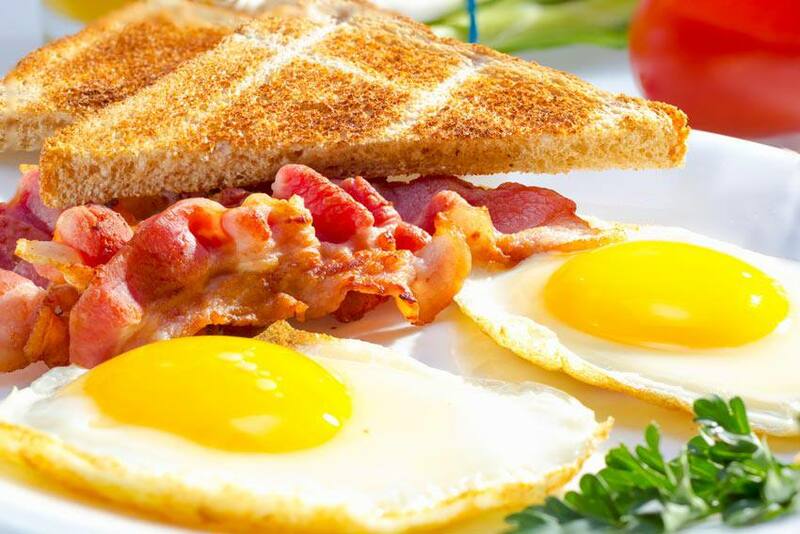 New research suggests that eating bacon and eggs and other high-cholesterol foods may not be as bad as was first thought. The US Dietary Guidelines Advisory Committee recently changed their stance on cholesterol, dropping its recommendation to restrict cholesterol in the diet. “Cholesterol is not a nutrient of concern for overconsumption,” states the report. However, this change in approach may also shed some insight into why society is dealing with obesity issues over the past few decades. “If you cut down on one food, you have to replace it with something else. Over the past 30 years, we’ve replaced ‘bad’ foods like red meat, milk, eggs and butter with grains, pasta, starchy vegetables and refined carbohydrates laced with sugar. These foods turn out to be even worse. They’re the reason that rates of obesity, diabetes and heart disease are soaring. In other words, the diet advice we’ve been force-fed all our lives has actually made us fatter and sicker,” says Margaret Wente in the Globe and Mail. “Diet foods” and processed foods have replaced more natural food options in many cases, and the US Dietary Guidelines Advisory Committee’s change in stance on cholesterol is a sign that it’s time to reassess what we eat. Recent research at the University of Missouri suggests that a high-protein breakfast is an important factor in maintaining a healthy lifestyle. Heather Leidy, assistant professor at the Department of Nutrition and Exercise Physiology, said that those participants who ate a high-protein breakfast (35 grams of protein) voluntarily ate less throughout the day than those who ate a breakfast with a typical amount of protein (13 grams of protein) or those who usually skipped breakfast. In fact, they consumed 400 fewer calories over the course of a day. They also lost body fat, had more stable glucose levels and reported feelings of hunger less frequently than the other two groups. Eggs are not only high in protein, they also contain many vitamins, minerals and antioxidants. So, bacon and eggs really can be a healthy breakfast option, if eaten in moderation. More often than not, try to skip the bacon.